Is teaching abroad on your bucket list? Are you a Native English Speaker? Do you have great passion for teaching? Do you want to share your own culture and language to students on the other side of the world? How about teaching English in Hong Kong? Being able to speak English is a major advantage, as you could easily become an ESL (English as a Second Language) teacher who instructs students whose first language isn’t English. We are a team of dedicated education professionals, based in Hong Kong with many years of experience in the education sector. Our team comprises a culturally diverse body of members who specialise in ESL teacher recruitment. We share a common vision of improving the quality and scope of language teaching in local institutions; through recruiting high-calibre ESL teachers and Native English Teachers (NET) from all around the world. We also aim to foster international cultural exchange among students and ESL teachers. Whether you are an expat currently living in Hong Kong, or an overseas educator planning to find a teaching job in Hong Kong, we are here to offer advice and the right solutions for your needs. We always try our best to help interested individuals to meet their work demands, one of this being the desired work schedule. For example, if you are wanting to teach and yet have days off to yourself, the option is always available with part-time or short course teaching vacancies. On the other hand, if you are someone wanting to be kept occupied, then opting for full-time teaching jobs would be most suited. Click to download our e-leaflet. Can't find the right ESL job from our existing listings? talk to us! Send us your CV and tell us about your desired work schedule and work locations. We’ll see what else is available and keep an eye out for opportunities for you! 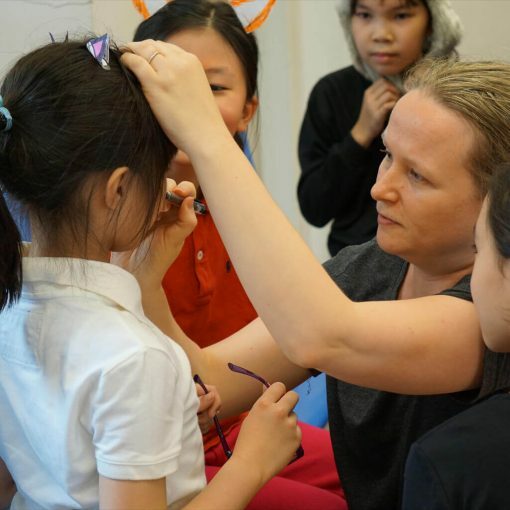 Many major cities in Asia look for native English-speaking individuals to teach English in kindergarten, primary, secondary schools, as well as learning centres. Hong Kong, as one of the most vibrant and modernised cities in Asia where East meets West, is one of the most popular destinations for many ESL / EFL teachers and Native English Teachers (NETs). 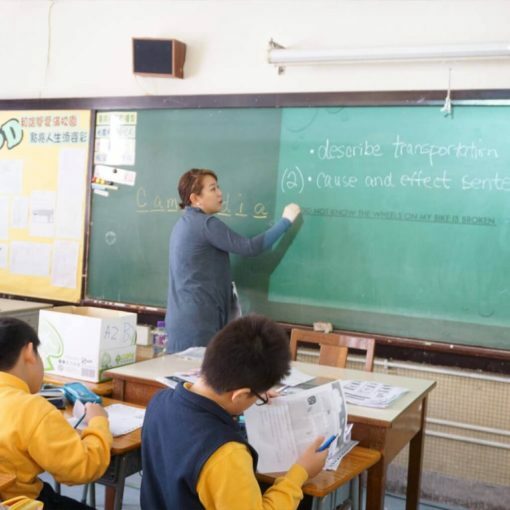 In Hong Kong, ESL teachers who are native speakers of English are also known as NETs (Native-speaking English Teachers). Apart from teaching English in classes, the major responsibilities of NETs include designing ESL resources and activities for schools to use, creating a stimulating environment for the students to increase their interest in English and so on. Becoming a NET in Hong Kong does not only give you a one-of-a-kind opportunity to refine your teaching skills and develop your career in the education sector, it also opens doors for you to travel around Asia and gives you the chance to immerse yourself in a different culture. If you’re already a native speaker of English possessing a University degree, having teaching experience and/or one of the following ESL teaching related qualifications would be of benefit: Teaching English as a Foreign Language (TEFL), Teaching English to Speakers of Other Languages (TESOL), Certificate in English Language Teaching to Adults (CELTA), Trinity CertTESOL or a Postgraduate Certificate in Education (PGCE). It will be an added advantage if you possess experience and knowledge within drama, music, public speaking or debating; as there are plenty of programmes available for teaching, allowing you to fully utilise your special talents. 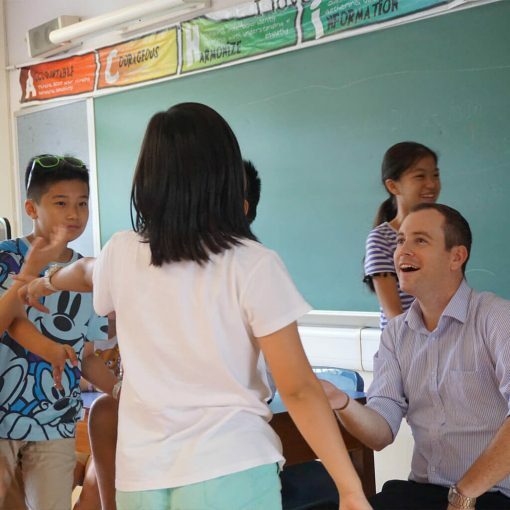 Teaching abroad is a once-in-a-lifetime experience that means more than just teaching. Not only is it a chance to cultivate your personal growth, but also your chance to help the next generation grow. Join us today, and embark on a whole new journey. ESL stands for English as a Second Language. An ESL teacher is therefore a teacher who teaches English to people who speak English as their second language. How many people speak English as their second language? According to British Council, there are approximately 375 million ESL speakers in the world who speak English as their second language! What are some other similar terms and acronyms that are related to ESL teaching? TESOL stands for Teaching English to Speakers of Other Languages; it is more commonly used in major native English speaking countries such as USA, Canada, Australia and New Zealand to denote the teaching of English. The acronym encompasses the ideas of both TEFL and TESL, which respectively stand for Teaching English as a Foreign Languageand Teaching English as a Second Language. TEFL, depending on context, may be used to refer to a teaching qualification pursued by many ESL teachers. ELT is a more concise term that means English Language Teaching in general and it may be more popular amongst British English speakers. What are some common challenges faced by ESL students in Hong Kong? It’s not uncommon for ESL students in Hong Kong to mix up he and she, and interchangeably use his and her. This common error is due to the gender-neutrality of Chinese pronouns. With the help of ‘classifiers’/’quantifiers’ in the Chinese language, perhaps you may say everything is countable in Chinese? Well, that’s debatable. But as an ESL teacher in Hong Kong, it’s likely that you will hear ESL students mistakenly pluralising uncountable nouns like vocabulary by saying ‘vocabularies’. There is no Cantonese equivalent for the English short ‘i’ sound and the closest thing you get to it would be the long ‘ee’ sound. Therefore, a lot of ESL speakers in Hong Kong tend to replace the ‘i’ sound with an ‘ee’ sound – for example, pronouncing bin as been, tin as teen, live as leave, etc. Again, the English th sound is non-existent in Cantonese, causing a lot of Hong Kong ESL students to struggle with its pronunciation and replace the th sound with the f sound. The Cantonese language is largely contextual. As long as you know the context, you may easily tell whether the speaker is talking about the past or the present. To Cantonese speakers, tenses are not as much a big deal as it is in the English language. Some ESL students may therefore need to put more effort in studying the related grammar rules in English. Do all Hong Kong ESL students learn English in the same way? Apparently, they don’t. The way and rate of how ESL students learn and acquire a language can vary. While many ESL students in Hong Kong are highly proficient users of the English language, learning a second language does take time and require continuous support. ESL teachers therefore need to be aware of the cultural and individual differences in learner styles and motivations. Do I have to know Cantonese to be an ESL teacher in Hong Kong? In most cases, you don’t have to know Cantonese to get an ESL teaching job at a local school in Hong Kong. However, we always encourage teachers to learn the language. Not only will learning Cantonese help you better understand the linguistic challenges your students face, it also gives you the chance to fully immerse into the local culture. Most importantly, Cantonese is incredibly fun to learn!